When an unscheduled publication had to be printed digitally at the last minute, drivers were dispatched in a variety of vehicles in rush hour traffic on a Friday afternoon to collect stock. Who knew that twenty-one thousand sheets of paper could fit into a Honda Jazz(!) or that one person could survive a twenty five hour print shift and come out smiling?! 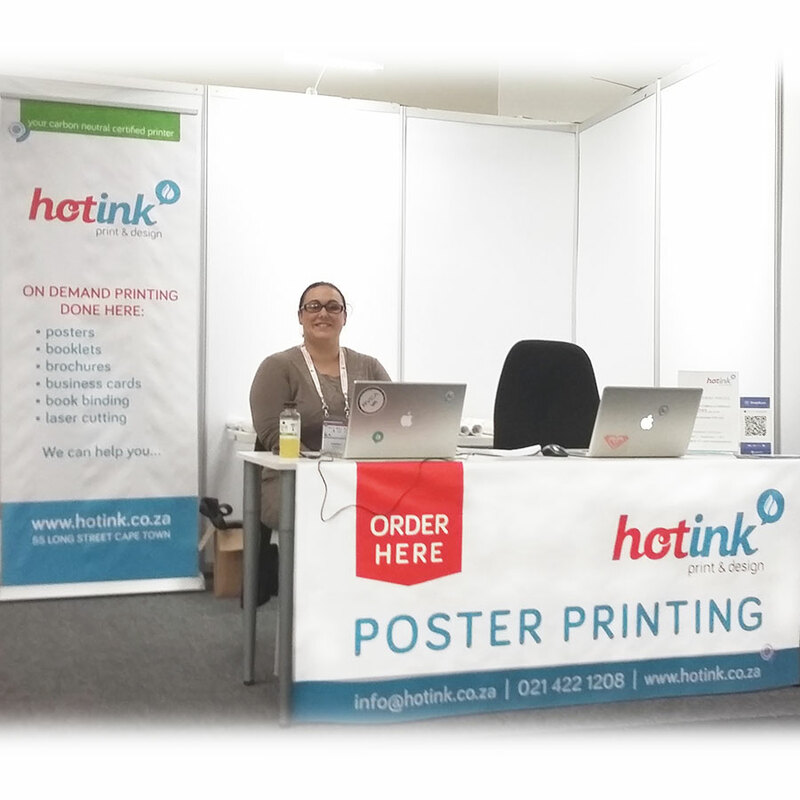 Hot Ink stationed a satellite office on site for the duration of the congress, to take in poster print work that got immediately uploaded to the office, printed and returned to the CTICC on the same day. Meanwhile production staff back at Hot Ink co-ordinated extraordinarily high volumes of printing that got delivered throughout the week to meet various deadlines. “When the going gets tough, the tough get going” and we are proud to thank our amazing staff who all worked incredibly hard and without complaint, to make things happen on time.